Which Native Milkweeds Should You Plant for Monarch Butterflies? Want to help monarch butterflies? Be careful when selecting your milkweed. Not all plants that go by the common name of “milkweed” are the food that these butterflies need. Want to save the monarch butterfly? Plant milkweed. Pick up a free milkweed seedling at World Environment Day this Saturday, June 4. Milkweed is both a food source and a host plant on which the monarch butterflies lay their eggs. 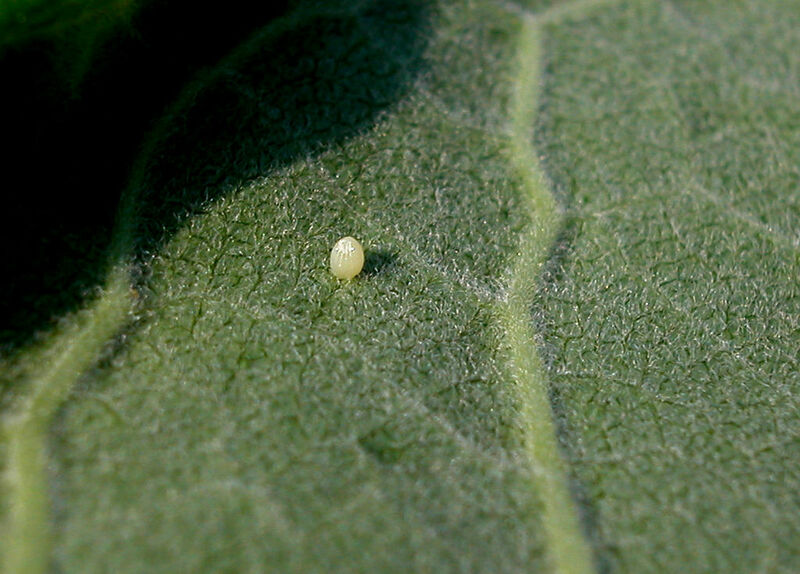 Monarchs lay their eggs on the underside of the milkweed foliage. After hatching, the larvae consume the foliage, which is high in cardiac glycosides—a poison that interferes with the heart functioning of vertebrates (animals with a skeleton). Butterflies are insects with an exoskeleton, and so are not affected by the toxin. Asclepias amplexicaulis is native to our prairies and is suitable for planting in sunny perennial flower gardens. The flowers are described as “eraser pink” in color and are fragrant (honey). Asclepias exaltata is native to our woodlands and is suitable for planting in partially shaded gardens. The flowers are white and also fragrant. Asclepias purpurascens has fragrant pinkish-purple flowers and can tolerate both sun and shade locations in the home landscape. Cultivars may be easier to find in your local garden center or nursery, but specialist nurseries do carry both potted plants as well as seeds. 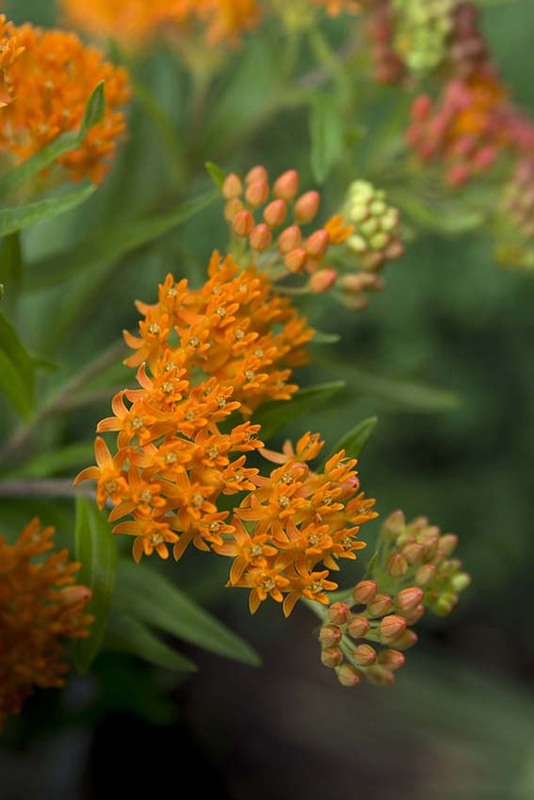 Download the Chicago Botanic Garden Milkweed Map and take a tour of our native milkweeds. Cynanchum louiseae goes by the name of Louise’s swallow wort, or milkweed. It is native to southeastern Europe. Cynanchum louiseae goes by the name of European swallow wort or milkweed. It is native to southern Europe. Cynanchum vincetoxicum goes by the name of white swallow wort or milkweed. It is native to Europe and Asia. So, why will monarch larvae die on the wrong milkweed? Hmmm, perhaps an illustration. Both mango and poison ivy are in the same plant family (Anacardiaceae) and contain similar biologically active compounds. My daughter and I can’t get enough mango in our diet, but both break out in poison ivy rashes if we touch poison ivy plants. The compounds are similar but not exactly the same. Likewise with the “bad” and “good” milkweeds: Both have fragrant flowers, the flower shapes are similar, the leaf shapes are similar, both have milky sap. But there is an insecticide compound in the “bad” milkweed in addition to the cardiac glycoside. “Bad” milkweeds evolved in Europe, where there are no native monarch butterflies, but plenty of herbivores, both animal and insect. 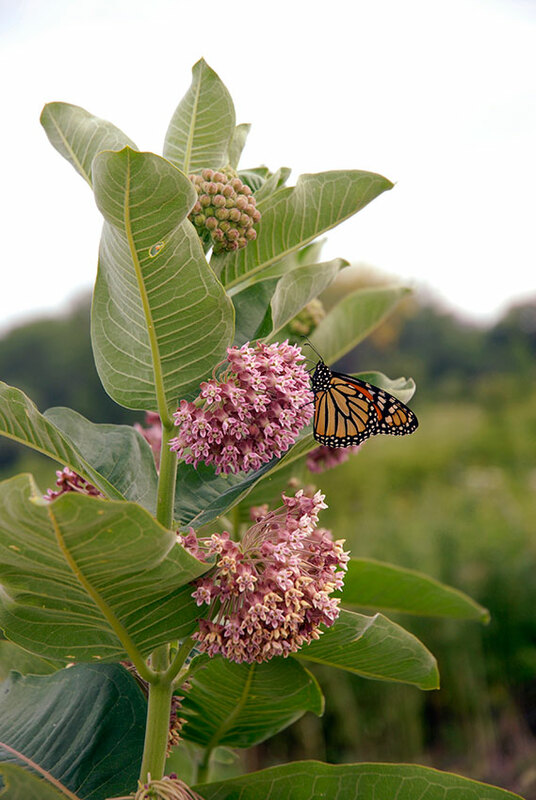 “Good” milkweeds evolved in North America in conjunction with monarch butterflies. Somehow, the monarch larvae are able to ingest and retain cardiac glycosides in their tissues without dying. It is a very unique adaptation between these two species. 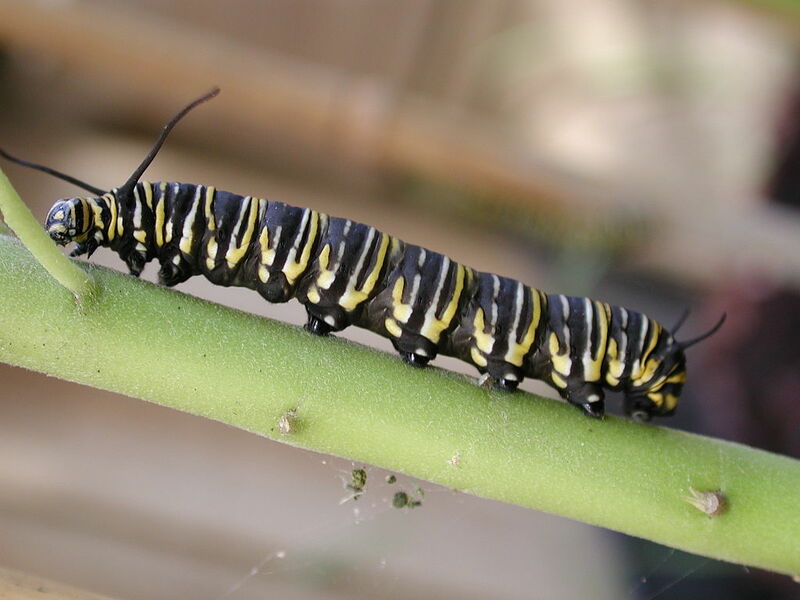 If other species of butterflies were to lay their eggs on milkweed, the larvae would not survive. Each organism has these sorts of “monarch-like” relationships with other, sometimes drastically different organisms that give them a survival advantage. Monarchs just happen to be a wonderful example of mutualistic relationships. The Monarch Joint Venture lists a number of national and regional partners; each of them will have information about monarch butterflies. The U.S. Fish and Wildlife Service, which is partnering with the National Wildlife Federation and National Fish and Wildlife Foundation, is also a source for information on milkweed and monarchs. Get free milkweed plants at monarchwatch.org. Add your garden to the Million Pollinator Gardens project this summer. Learn more at millionpollinatorgardens.org. Posted on June 1, 2016 May 31, 2016 Author Boyce TankersleyCategories Ecology & WildlifeTags best milkweed for monarchs, best plants for a butterfly garden, butterfly gardening, milkweed cultivars, milkweed plants, monarch butterfly, monarch recovery12 Comments on Which Native Milkweeds Should You Plant for Monarch Butterflies?